A steaming hot bowl of oatmeal is a terrific way to kick off a chilly morning—but it can get better. A steaming hot bowl of oatmeal is a terrific way to kick off a chilly morning—but it can get better. 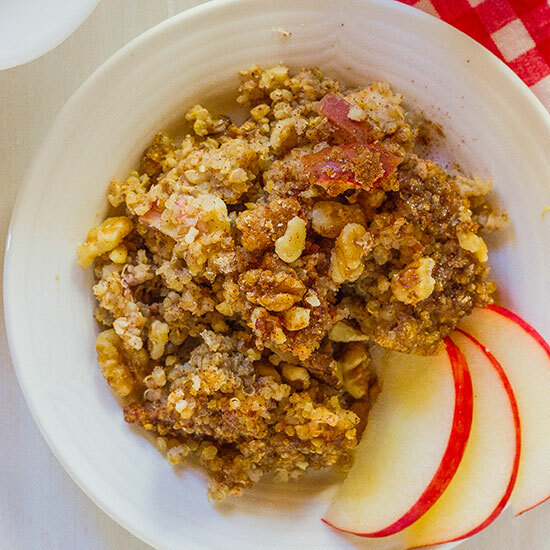 Here, five seasonal ways to transform your oatmeal into the best fall breakfast ever. This breakfast casserole has sugar, spice and everything nice, including apples. Many people miss out on the nutty flavor and nubby texture of oatmeal made with steel-cut oats because they assume it's too time-consuming to prepare. But if you soak the oats overnight, they cook in just ten minutes. This autumnal oatmeal includes toasted pumpkin seeds, cider-simmered cranberries and crunchy Granny Smith apple. This hearty breakfast incorporates fall fruit and crunchy nuts. Pecan pieces are candied on the stovetop for this delicious recipe.